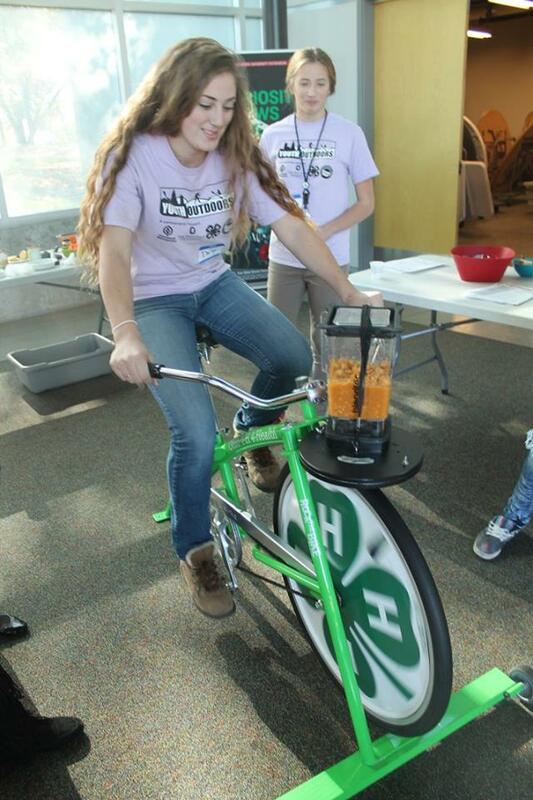 On Saturday, October 27th, 2018 the 4-H Health Heroes held HealthU, an event geared towards middle school youth exploring topics and careers related to health. Session topics included sports medicine, nutrition, food science, pharmacy, and wellness coaching. 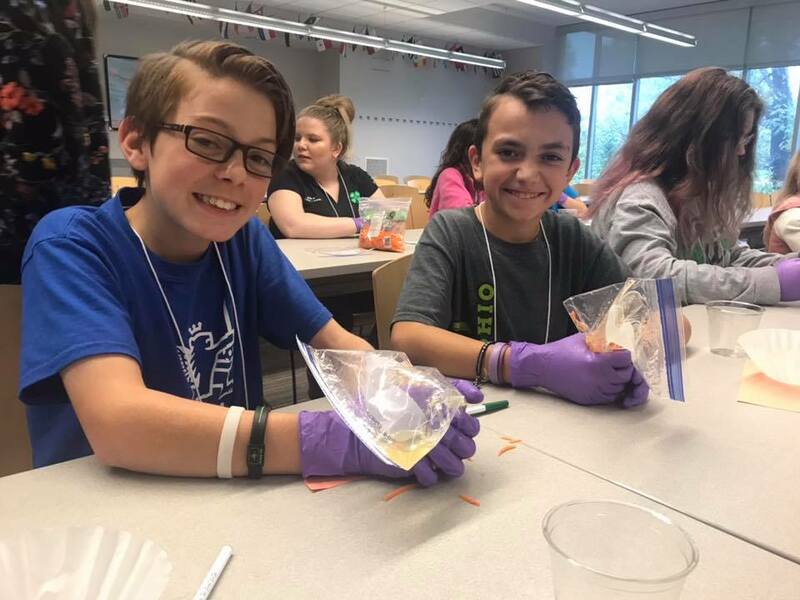 In addition to learning about various healthy living topics, participants also learned about the Health Heroes program and how they could get involved. Funding for the event was provided by the Ohio 4-H Foundation and the Robert Wood Johnson Foundation. 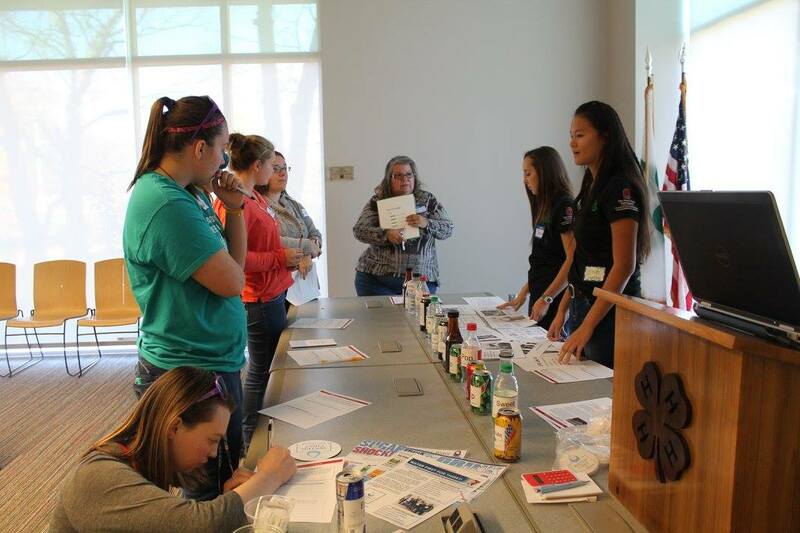 The Ohio 4-H Health Heroes planned and provided a teen forum called “Hope for Ohio”, for teens and adults who mentor them on December 2, 2017 at the Nationwide and Ohio Farm Bureau 4-H Center in Columbus. The forum prepared the participants to be advocates against drug abuse. Hope for Ohio, engaged the top youth organizations in the state based on enrollment: Ohio 4-H (400,000 members), Ohio FFA (25,000 members) along with Ohio Farm Bureau’s membership. This activity provided young people and their leaders in urban, rural, and suburban communities with valuable information to take back to their communities. More than 120 youth and youth leaders attended. Tyler’s Light, a drug education and awareness organization provided the keynote speech. Other organizations that provided presentations were Prevention Action Alliance (We Are the Majority), the Ohio Attorney General’s office, Narcotics Anonymous and Talk is Cheap. We thank Ohio Farm Bureau, Nationwide Insurance, Monsanto, and the Ohio 4-H Foundation for their sponsorship of this event, which empowered our state’s youth to make a positive difference on the crisis. 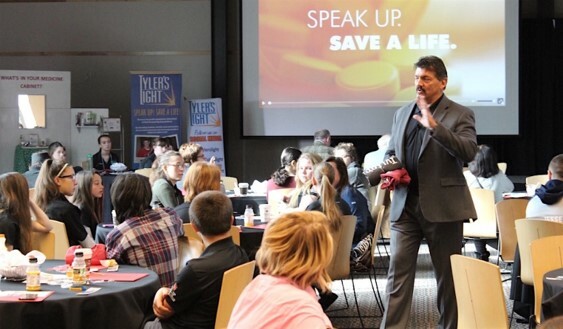 Those attending the 2016 #OHteens4Health Summit for Youth learned to become advocates for health. Each team of students went home with an action plan to carryout in their community. The summit was organized by Ohio 4-H HealtH Heroes, a group of teens who attended a similar national 4-H summit in February in Washington, D.C. “They really got a lot out of that experience, and they wanted to bring something like that back here to Ohio,” Theresa Ferrari, 4-H youth development specialist with Ohio State University Extension said. The importance of sleep for teenagers was the keynote topic. Seventy participants were able to hear from Jilly Dos Santos, who, as a high school student in Columbia, Missouri, successfully advocated for her school district to adopt later school start times, as recommended by the American Academy of Pediatrics, to allow teens to get more sleep and be more alert during school. Dos Santos, now a student at Middlebury College in Vermont, presented with Stacy Simera, chair of the sleep committee for the Ohio Adolescent Health Partnership and communications director for the national nonprofit Start School Later. Positive choices related to alcohol, tobacco and other drug use, presented by the Ohio Youth-Led Prevention Network. Water First for Thirst, about making water the easy choice over high-sugar beverages, presented by Carol Smathers, field specialist for Youth, Nutrition and Wellness for OSU Extension. Smathers is also a co-organizer of the summit. Steering Yourself in the Right Direction, about promoting safe driving, presented by Ann Smith of Think First of Central Ohio and several members of the CARTEENS program in OSU Extension’s Franklin County office. Nature Play for Today, about advocating for natural park spaces for all ages in communities, presented by Valerie Hearst of OSU Extension. Walking the Walk and Biking the Town, about promoting safe walking and biking routes, presented by Kate Moening of the Safe Routes to School National Partnership. The summit was held for middle school and high school students who have a passion for healthy living and want to help make changes toward that goal, whether it’s in an organization they’re involved with, their school or their community, said Theresa Ferrari, 4-H youth development specialist with Ohio State University Extension and one of the event’s organizers. OSU Extension is the outreach arm of the university’s College of Food, Agricultural, and Environmental Sciences. Another summit is being planned for 2017 on December 2nd.